This is a one-day launch symposium of the collaborative European research project Encounters with the Orient in Early Modern European Scholarship (EOS), funded by HERA (Humanities in the European Research Area) - a partnership between 21 Humanities Research Councils across Europe and the European Science Foundation (ESF). 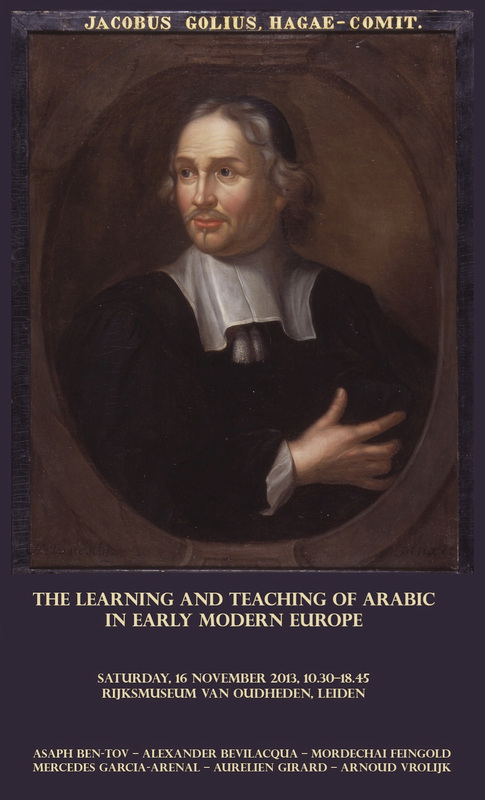 This international symposium will explore and celebrate the methods, the scholarly significance and the institutional background of Arabic teaching and learning at early modern European academies and universities. Two keynote lectures on the Learning of Arabic in the Netherlands and in England will frame a series of presentations by leading authorities in the history of European Arabic studies. 12:15 Asaph Ben Tov (University of Erfurt), Johann Zechendorff (1580-­1662) and Arabic Studies at Zwickau’s Latin School.